Congratulations on making the wise decision to upgrade your imaging department or clinic by purchasing a used MRI system. Thanks to all of the hospital liquidation sales taking place all over the world, there are many MRI systems available to choose from. As this major piece of imaging equipment is so important and as the technologies change relatively quickly, it is smart to be well-read on the topic before you set out to purchase. 1. In most cases, it is a good idea to buy a name-brand MRI system. Not only will it be easier to find replacement parts, but if you would like to sell it in the future, an MRI system from one of the imaging industry leaders will be easier to sell. 5. Consider the magnetic field strength of the MRI system: 1.5T ,3T or other. (1.5T is currently the most commonly accepted MRI magnetic field strength for general use). 6. Decide which bore diameter of the MRI system, 60 cm or the larger bore diameter, 70 cm is what you are looking for, keeping in mind that sometimes, the size of the useful volume of view and the image quality are lower with the larger bore diameter. 7. What is the maximum useful volume of view of the MRI system? (dimensions on Z axis and on X,Y axies). 8. What is the extent of the image degradation on the margins of the volume of view? (the margins may be specified in terms of the homogeneity of the magnetic field Or image linearity or quality). 9. What is the homogeneity of the magnetic field of the MRI system in the center? (should be, at least, better 1 ppm ) . 10. What is the stability of the magnetic field of the MRI system? (in terms of ppm/hour). 11. To what extent is the magnetic field of this MRI system shielded? It is necessary to check the contours of the 5 Gauss magnetic field strength. 12. 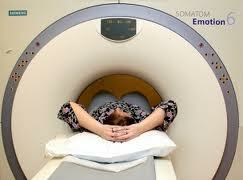 Make sure that the magnet cooling block of the MRI system is efficient and in good condition. 13. At what rate does helium evaporate (e.g. in terms of liter/ month) and how frequently should helium in this MRI system be filled? 14. Is the MRI system you are considering well-protected from damages in the event of magnet quench? 15. What is the noise level of this MRI system (expressed in average dBA SPL) and what means are used to reduce patient inconvenience? 16. What MRI magnet length are you interested in? (shorter magnets are more convenient for the patient). i. Maximum amplitude of the field gradient (expressed in mT/m). iv. Maximum slew rate of the magnetic field gradient (expressed in mT/m/ms). v. Note: higher values make it possible to extend the range of the examinations and may increase the working speed. 18. Be sure that the MRI RF power amplifier is of good quality. Under some working conditions it is heavily loaded. Higher power ratings ensure better performance and higher reliability (recommended power rating is above 10 Kw). 19. What is the number of receivers? Keep in mind that better performance is obtained when each coil element is connected to a separate receiver. However, in some more economical configurations, a receiver may have several "inputs" and simultaneously accept more than one coil element. Currently, 8 receivers seem to be the minimum demand. MRI systems with 32 receivers are very common, especially if parallel imaging mode is used). 20. Performance of the receivers should be examined carefully, as the possibility of wide-band reception (e.g. 1 mHz) is preferable. Low-noise figure is an absolute necessity. An efficient band-roofing filter will improve the overall performance of the MRI system. 21. Check if it is possible to operate the MRI system in parallel imaging mode. (operation in parallel imaging mode can save time or reduce the image noise). 22. When buying an MRI system, make sure to carefully look into what type of coils you need as coils are very expensive and the cost of buying replacement MRI coils should be taken into consideration. 23. We suggest ordering the basic coils necessary for the present tasks of the MRI system and in the future you can easily acquire more coils to extend the range of the examinations. i. System control: data acquisition, data storage and data communication. ii. The performance capabilities of the computers determine the speed of data acquisition, processing time and local storage capabilities. 25. The MRI system operating console should be well-designed and user friendly. 26. The diagnostic work station should include best quality screens and it should be possible to display several clear images simultaneously. 27. There should be access to every modality and every existing program in the system. 28. Perfect RF shielding is an absolute necessity. "Faraday Cage" should be accurately designed and installed according to the IEC 60601-2-23 (2005-08) amendment. 29. External RF interference attenuation should be higher than 100 dB. MedWOW features MRI Systems from all of the major manufacturers, including: Philips, Picker, GE Healthcare, Siemens, Toshiba, Hitachi and many others, so finding exactly what you need according to the above guidelines is an efficient and simple process. With over 600 complete MRI Systems and over 6,250 MRI parts currently featured through MedWOW’s comprehensive online catalogue ─ locating and buying your next MRI system is trouble free.